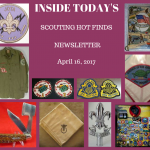 Scott Wheeler has a collection of 100,000 unique Scouting items. But the trick is these are not all patches. 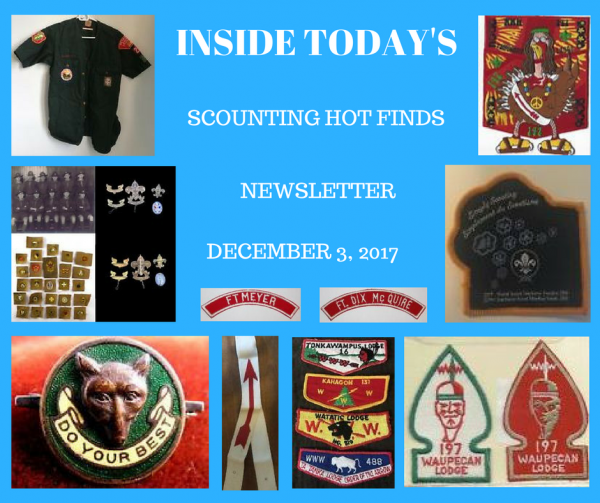 He collects neat things like baseballs that have a BSA connection which is why he compulsively creates list to keep track of all his side collections. 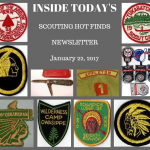 These lists then become checklists that he is happy to share with other Scouters that might have a similar interest. One lesson that Scott shares in the interview is the idea of being patient and waiting for the prices to come back to earth after a big event. He sometimes has to wait 5+ years to pick up Jamboree sets are very popular and on his needs list. But that way at every Scouting event or TOR he attends he can always be on the look out for needs. In today’s issue you can see there are a ton of military base strips available at auction. These are a unique niche in the hobby. Community strips that were created for units chartered on a military base. For obvious reasons that is a neat connection for some collectors. 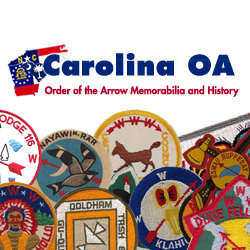 In fact I was born on Shaw AFB (link in this newsletter to one for auction). I am continuing my run of listing OA two-piece sets up for auction. I have 82 listings up right now from lodges all over the country. 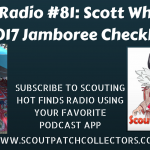 Most of these are the typical Jamboree, NOAC, and Anniversary issues that have been popular for the last couple decades. I Won The Shaw Field Encampment! Say What?